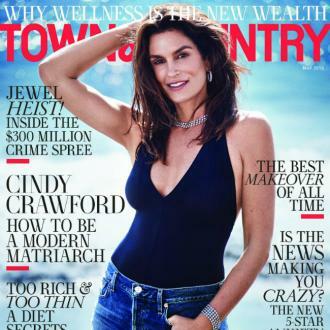 Cindy Crawford makes sure she discusses sexual harassment in the fashion industry with her daughter Kaia Gerber, although she thinks the business has changed. Cindy Crawford makes sure she discusses sexual harassment in the fashion industry with her daughter Kaia Gerber. The 51-year-old supermodel believes it is important for people to be aware of the potential dangers in any business and to encourage others to speak out if they have been subjected to sexual misconduct. And though the catwalk icon - who also has 18-year-old son Presley with her husband Rande Gerber - has had a ''conversation'' with her 16-year-old child about the topic, she hopes her brood are in a ''new environment'' where sexual harassment issues happen ''less''. Cindy has revealed she never discussed sexual harassment when she embarked on her modelling career, and though she was ''hit on'' by males she ''always knew'' how to get herself out of an uncomfortable situation. She added: ''I don't have a 'Me too' moment. ''It's not like guys didn't hit on me, but I always knew how to get myself out of the situation. Kaia made her Fashion Week debut during the Alexander Wang show earlier this year, but Cindy has revealed she wished she could have delayed her child's career from taking off so quickly.